In the 1490s the last Jews to be expelled from Spain by the Catholic monarchs Ferdinand and Isabella were deported from the Catalonian port of Collioure. My header photo was taken a few weeks ago as I set out from Collioure by boat; it has a powerful resonance as the town is miraculously preserved, which means the view is similar to the one that the last Sephardic Jews to leave the multicultural idyll of al-Andalus would have seen. Jordi Savall's interpretations with the desperately missed Montserrat Figueras are the reference point for the music of al-Andalus. But there are many other commendable performances, including those on the puzzlingly overlooked Encino, California based MA Recordings. This label deserves attention for several very good reasons; not least because it is part of a group of companies that also manufactures audiophile connects Crystal Cable. This means their recordings are made on state of the art equipment, resulting in superlative sound quality which is enhanced by the use of resonant Spanish monasteries as recording venues, rather than dry modern studios. But there is another good reason why the MA Recordings catalogue deserves serious attention. Among the musicians are several from Spain better known for their work with Jordi Savall; these include Begoña Olavideand Pedro Estevan, both of who play on Alia Vox's legendary Diáspora Sefardí double CD. But forget any conspiracy theories, MA Recordings are not cashing in on the Savall phenomenon. In fact many of their discs pre-date Jordi's classic Alia Vox accounts of similar repertoire, and all are worth further exploration in their own right. Space precludes a detailed exploration of the MA Recordings catalogue; but, be warned, reading on could seriously damage your bank balance. 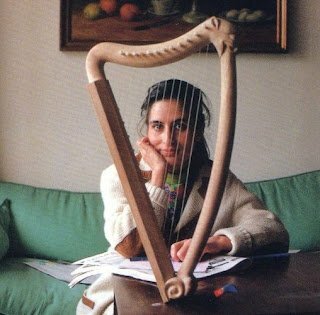 Calamus - the Splendour of al-Andalus features a five piece ensemble including Begoña Olavide, seen above, and her sister Rosa, who explore Arab-Andalusian music of Renaissance Spain, in a recording made in the Monasterio de la Santa Espina, Valladolid in Spain in 1994 - five years before Jordi Savall's Diáspora Sefardí was recorded. 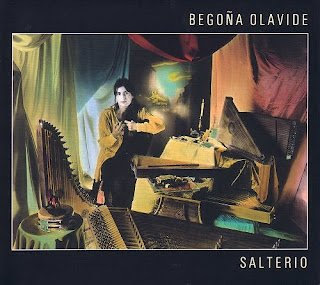 Salterio, seen below, is an exploration of medieval music for the psaltery and voice, played and sung by Begoña Olavide with an ensemble including percussionist extraordinaire Pedro Estevan; this was also recorded at Valladolid in 1994. My third recommendation is another Begoña Olavide disc - Mudejar. Begoña Olavide is an authority on Arab influences in early Spanish music, and the title of the CD refers to the Muslims who remained in Spain but did not convert to Christianity during the Reconquest at the end of the 14th century. The sound on these and other MA Recordings CDs is truly revelatory. They were made with just two B&K 4006 microphones on a stereo bar with minimal intermediate technology between microphone and mastering, and the result is a sense of depth and space around the instruments that puts almost all other small ensemble recordings to shame. It is a testimony to the aural impact of these discs that they still sound in a class of their own even after being transcribed to the low-resolution MP3 format for iPod listening. Even more icing on the cake comes in the form of informative sleeve notes that include the provenance of each instrument used at the sessions. The full MA Recordings catalogue includes much in addition to these invaluable musical sketches of multi-cultural Spain, but remember my wealth warning! * A very sensitive interview with Jordi Savall by Julius Purcel appeared in the Financial Times when I was voyaging on the Mediterranean. Equally notable are the photographs by Laia Abril taken at the time of the interview. Julius Purcel has also written about Collioure, and, for the sake of clarity, I should explain that the town was Spanish until 1659, when it became part of France. 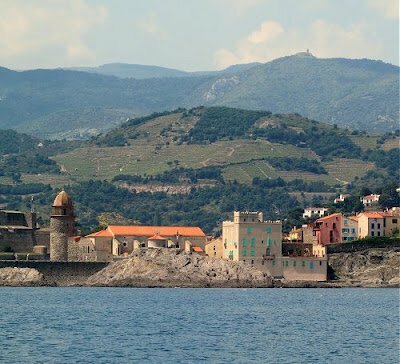 There is another informative article about Collioure created by fifteen North American students as part of the multimedia study-abroad program titled The Perpignan Project. Each of the three M•A recordings are priced the same now as they were when I bought them in the late 1990s. Considering the purchasing power of the Canadian dollar then as opposed to now they are actually cheaper now than they were then so no "wealth warning"should be needed. If people just want to choose one I'd go for the Calamus. Of course these CDs also lead to other M•A recordings of the the Paniaguas (such as Eduardo Paniagua's "Medieval Spanish Dances"). Thanks for that Shall. I usually buy the MA Recordings discs via Amazon resellers such as marvelio-uk who are far more reasonably priced than Amazon themselves. And we are thinking along the same lines - there is a Paniagua path in preparation.